Buying a new home is an exciting time in your life. In order to ensure a positive experience, it’s important to properly prepare yourself before jumping in. One of the most valuable ways to do this is by finding a great lender – he or she will be your go-to resource throughout the home buying process, so it’s important to find someone you feel comfortable working with. So how do you decide who would be the best lender for your needs? Here are a few tips to help you find the one. When it comes to buying a home, a good place to begin is by giving your credit history a pulse check. Knowing where you stand will be important when it comes to working with a lender on your mortgage application. 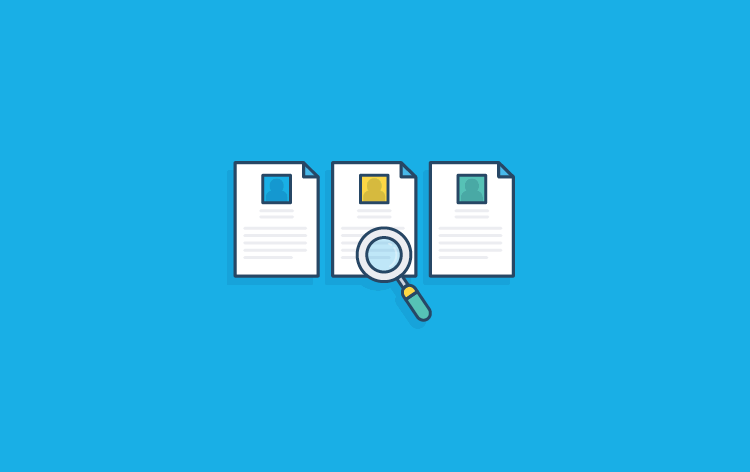 Do yourself a favor and request your credit score from the three major credit bureaus (Equifax, Experian and TransUnion) before beginning the lender search. 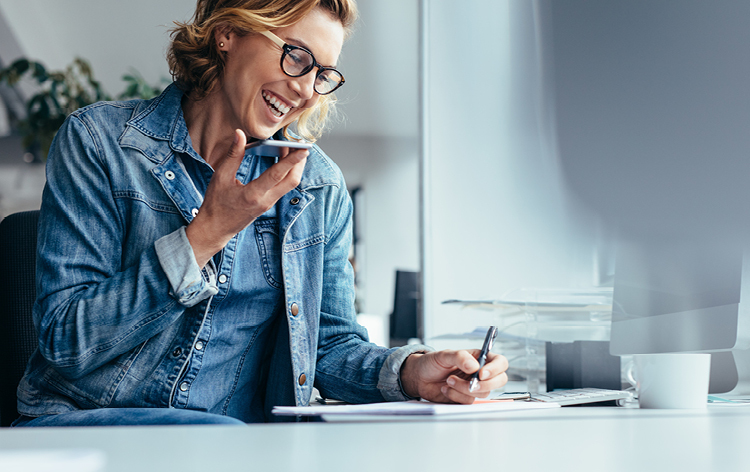 If you think your credit score needs improvement, many lenders will be happy to share some advice for boosting it prior to submitting a mortgage application. If this is your first time buying a home, you may be surprised at how many different options there are out there when it comes to choosing a lender. Before you even begin, you’ll want to determine the type of lending institution you prefer to work with. Local Banks: The great thing about working with a local lender is that you will often find the experience is more personal and you may even qualify more easily since smaller banks often follow different regulations and keep mortgages in-house. The only real downside is that you may have fewer loan options to choose from at a smaller bank. National Banks: Working with a large bank can provide you with peace of mind when it comes to credibility, but it may also be challenging to find personalized service, since you’ll be working with such a big institution. If that isn’t overly important, you may find this type of lender fits your needs and can be more convenient since you can submit and manage your mortgage application online. Online Lenders: This type of lender only operates online; don’t expect to pop into a physical location when you need a question answered. On the upside, this type of lender usually offers lower mortgage rates and fees, but it’s important to carefully vet the company before applying to ensure it is legitimate. Credit Unions: Working with a credit union can be advantageous when it comes to getting a better mortgage rate. The only caveat is you will need to be a highly qualified applicant since credit unions tend to uphold stricter lending regulations. 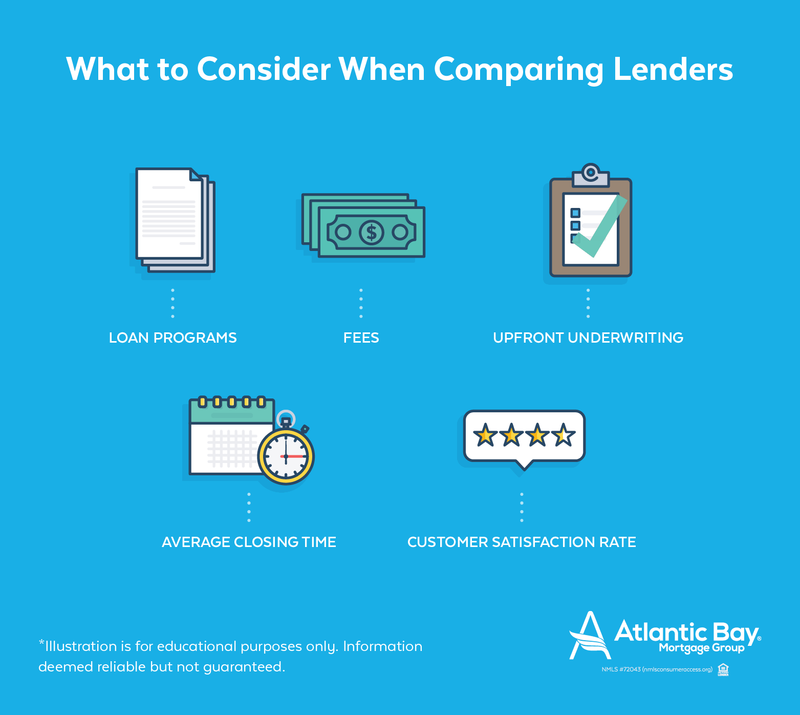 If you can determine the type of mortgage lender you prefer to work with, you’ll probably find it a bit easier to shop around and make comparisons. Ask your family and friends who have recently bought a home about their experience with their lender and if they would recommend him or her. Also, if you’re still unsure, doing a little searching around online to gather feedback from others can be very helpful. Once you’ve narrowed your options down, you’ll want to set up a time to meet with potential lenders. Depending on the type of lender, this meeting may take place in person or via phone. In either instance, a first impression can tell you a lot about a someone. Below are a few pointers to consider when meeting a potential lender. Check for compatibility: Gauge how comfortable you feel discussing your home buying plans with him or her. 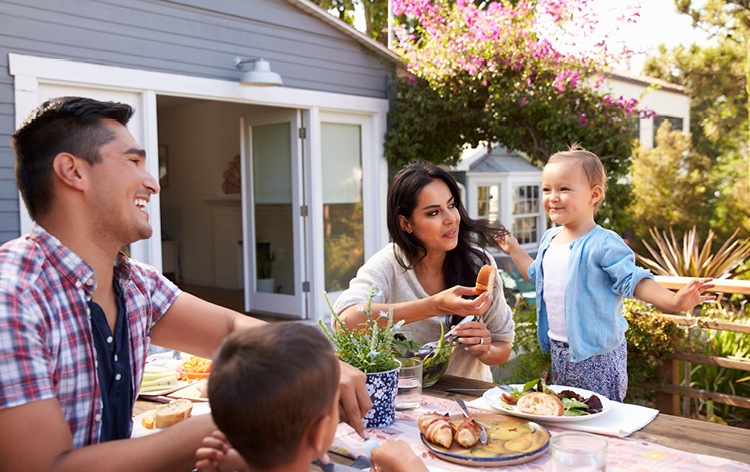 Remember, purchasing a home is one of the biggest financial transactions you’ll make, so you want to work with someone with whom you feel at ease discussing finances and who will be a source of knowledge throughout the home buying process. Compare interest rates: You certainly want to choose a lender who you feel comfortable with, but don’t forget to crunch the numbers, too! 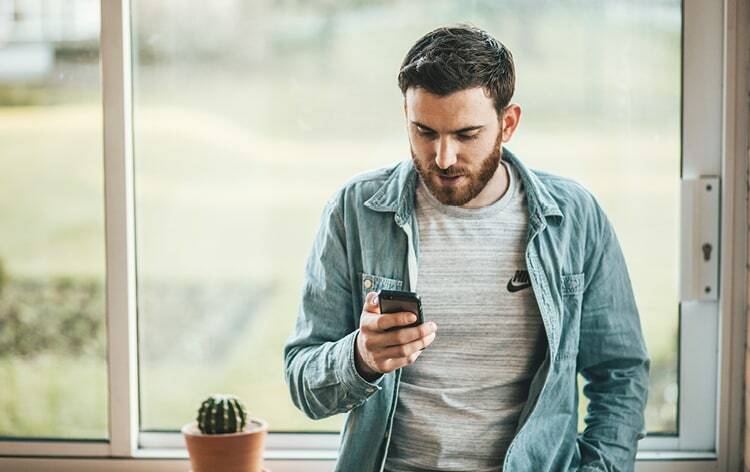 Interest rates and other terms can vary widely among lenders (and will also be impacted by your credit score), so it’s a good idea to get several quotes before making a choice. Ask lots of questions: Don’t be afraid to ask potential lenders questions regarding the details of applying for a mortgage with them. A great lender will happily oblige to answering your questions and will even encourage you to contact them when you have anything on your mind. Some thing you may want to consider asking about include loan program types, additional fees, upfront underwriting opportunities, average closing time, and even customer satisfaction rate. Ultimately, you’ll likely use a combination of factors to decide which lender meets your needs. The financial aspect is very important (i.e., who can give you the best rates), but you also want to work with someone you trust and feel they have your best interests in mind. In the end, finding your ideal lender will contribute toward an exciting home buying experience! For more home buying tips, be sure to visit the Atlantic Bay blog. 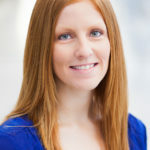 Brittany is a freelance writer with a passion for all things related to mortgages and the real estate industry. Born and raised in southeastern Virginia, she's a proud Virginia Tech alum and currently resides in Memphis, Tennessee with her husband, two little girls, and their teacup Yorkie.